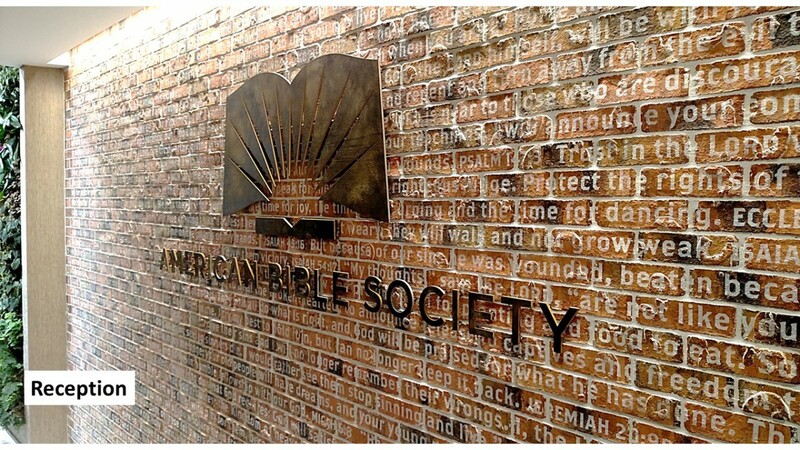 The American Bible Society’s mission is simple. To ensure everyone in the world has access to God’s Word, and to encourage more of them to engage with it. Their work includes distributing Bibles, and an effort to translate the Bible into every language. To support this work the Society has just moved into new headquarters on Independence Mall in Center City, Philadelphia. 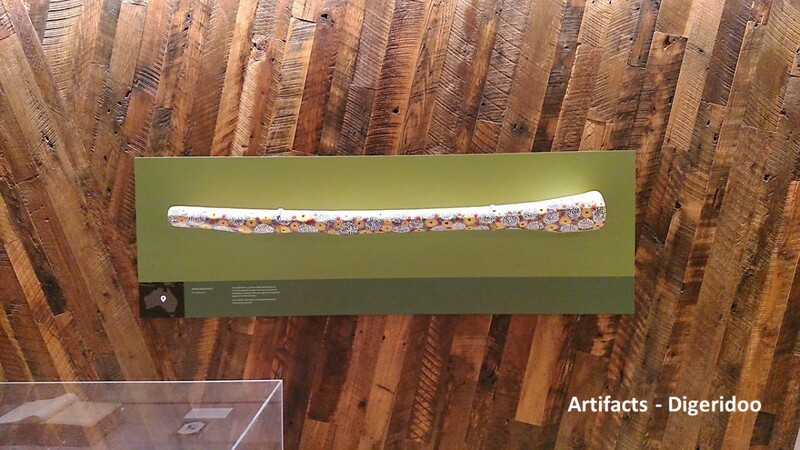 Art Guild was chosen to help make this new space as distinctive as the Society’s mission, and to ensure it clearly projects its voice and values. 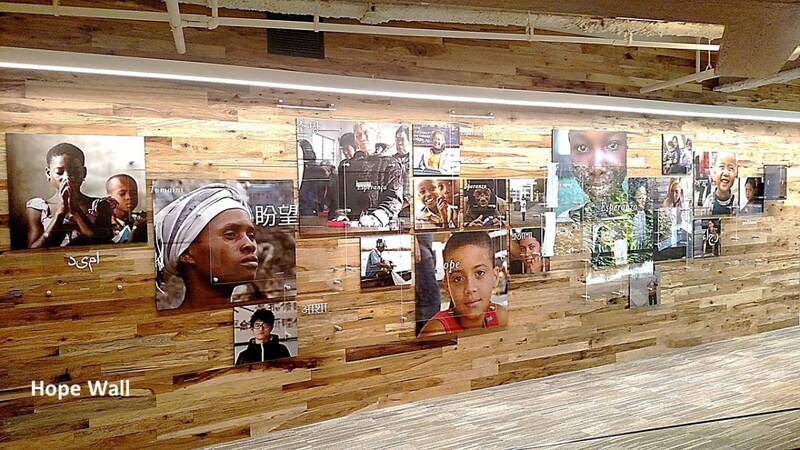 Collaborating with two other local firms, Partners Design and Watchdog Real Estate Property Management, our role was production and installation of an extensive range of graphics, using a number of different mounting solutions. The slide show above shows some of these. 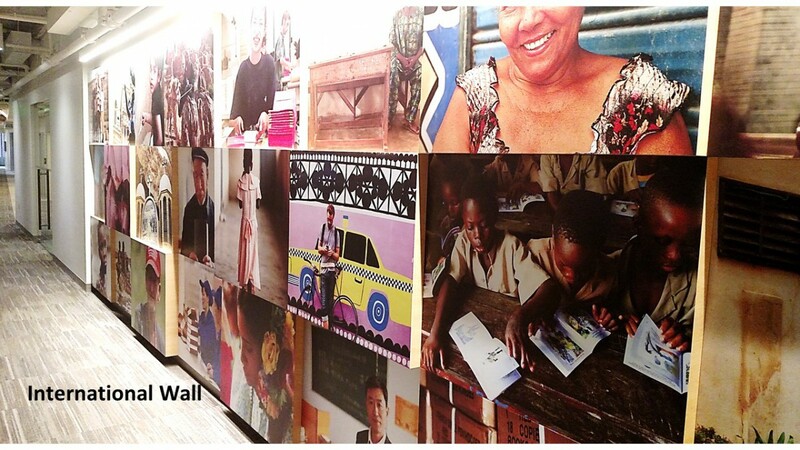 The “Hope Wall” was created with a multi-layer, dimensional puck mounting system. 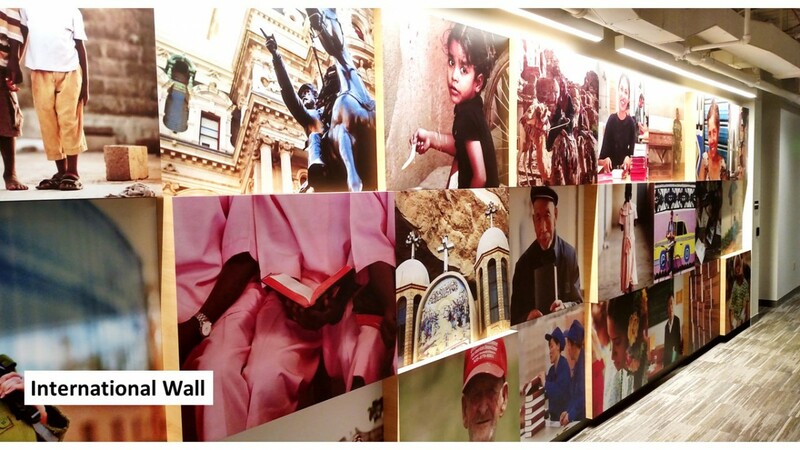 The “International Wall” features photos mounted on multi-level, laminate-trimmed MDF boxes. 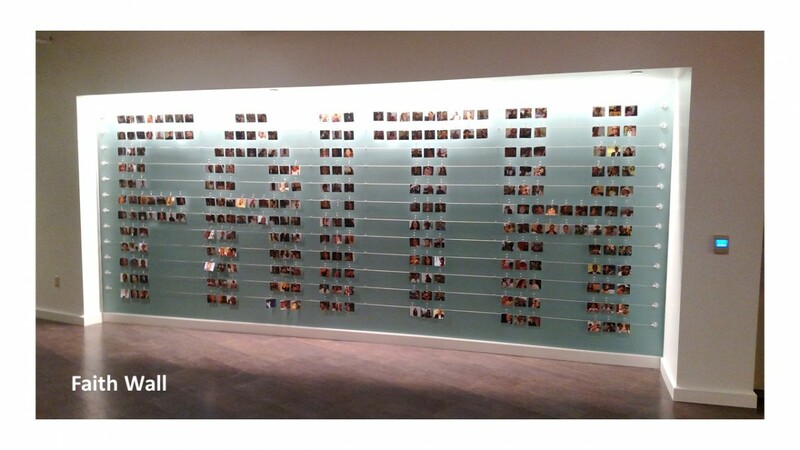 The “Faith Wall” spells the word “faith” with artfully arranged employee photos strung on aircraft cable. 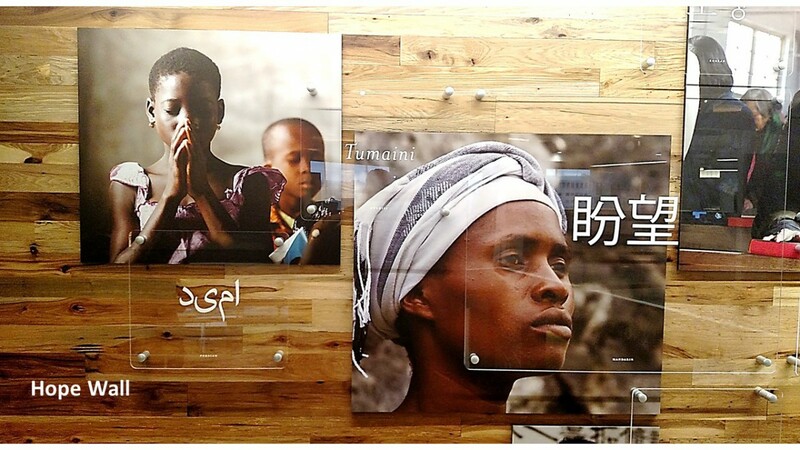 We also produced way-finding signage by laminating graphics inside frameless glass.